1. Use your voice to make a difference. 2. Keep up to date on current issues that affect education in the state of Iowa. 3. Connect with other professionals. 4. Check out the $10 million repair on the Iowa Capitol’s golden dome which, fun fact, is one of the most iconic landmarks in Des Moines. 5. Lunch will be provided! Sessions will cover a wide range of topics, from understanding dual-credit enrollment, to evaluating how America values higher education – and much more. 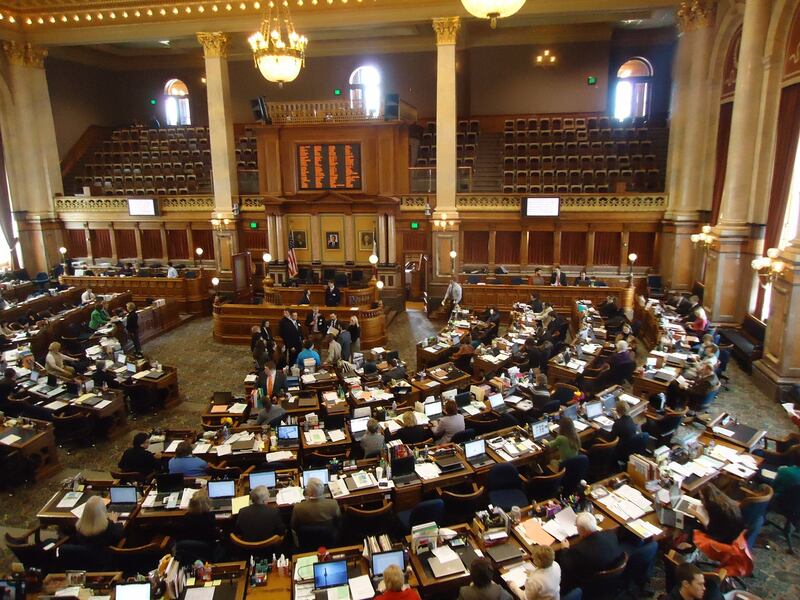 Attendees will hear from our distinguished guest speaker, Ryan Wise (Director of the Iowa Department of Education), undergo advocacy training, and most importantly take a visit to the Iowa State Capitol to speak with state and local representatives. There is no cost to participate in the Visit the Hill program. Register yourself and bring along secondary and postsecondary students. Let them be a part of the process and learn from a visit to The Hill! Travel scholarships are available to assist with some of your costs. Please contact Susie Hakeman, Chair of the Government Relations Committee, with any questions at [email protected].